Ellen Pao – the woman who recently lost a high-profile Silicon Valley sexism case – has been instructed to pay legal costs of almost $1 million. 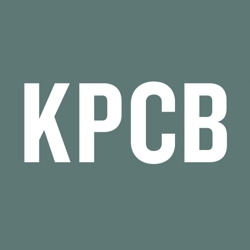 Pao is planning to appeal the jury’s decision, although venture capital firm Kleiner Perkins says that she won’t have to pay the sum if she changes her mind. Pao’s legal team are currently helping her come to a decision. Ms Pao was sacked by Kleiner Perkins in 2012. The investment firm has backed companies including Snapchat, Twitter, Google and Spotify in the past. Jurors weren’t convinced that she was fired due to discrimination, with Kleiner Perkins’ lawyers saying that she was let go due to poor performance. Her lawyers claimed that a “boy’s club” was in operation, preventing female candidates from moving forward at the company. Ms Pao said that she was unfairly overlooked for promotions. It has recently been revealed that Kleiner Perkins last year offered Ms Pao almost a million dollars to settle outside of court, but she failed to respond. Ms Pao had been seeking $16 million in lost wages and potential earnings. She said that she hoped the case would bring Silicon Valley sexism further into the spotlight. Around 30% of Apple and Google’s workforces are women, though this percentage is less for technical jobs.